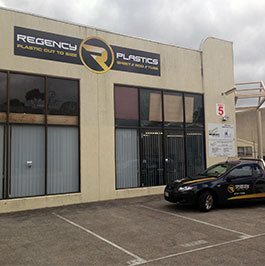 Why Get Your Plastic Sheet Cut to Size in Melbourne at Regency Plastics? Perspex is an amazingly versatile plastic sheeting material, suitable for a wide range of applications from wind screens to watch covers. The word Perspex is derived from the Latin words for ‘to look through’; it was especially developed as a see—through plastic sheet that never gets ‘cloudy’, making it ideal for any situation where the user needs to be able to see through whilst being protected from what’s on the other side of the sheet. Thanks to our wide range of clear Perspex and Acrylic sheets Melbourne businesses can rely on our team to cut and shape the sheets to custom dimensions. Able to be cut to suit the needs of our customers, our machines can accurately and precisely reshape clear and lexan polycarbonate panels and plastic sheets for businesses across Melbourne. You can get a Perspex sheet cut to size in Melbourne at Regency Plastics. We cut Perspex in all shapes, sizes and dimensions – even unusual or challenging shapes. Our facilities mean we can complete projects of any size; whether it’s safety screens for your business premises or small plastic components for use in the manufacturing of your products, we’ve got it covered. No matter your requirements our fabricators can provide you with acrylic sheets cut to your size. For more information about what we can do, or to discuss your Perspex needs, give us a call on (03) 9761 4452.